Well, honey, I’ve seen worse. Mulan hit theaters in 1998, half my lifetime ago. 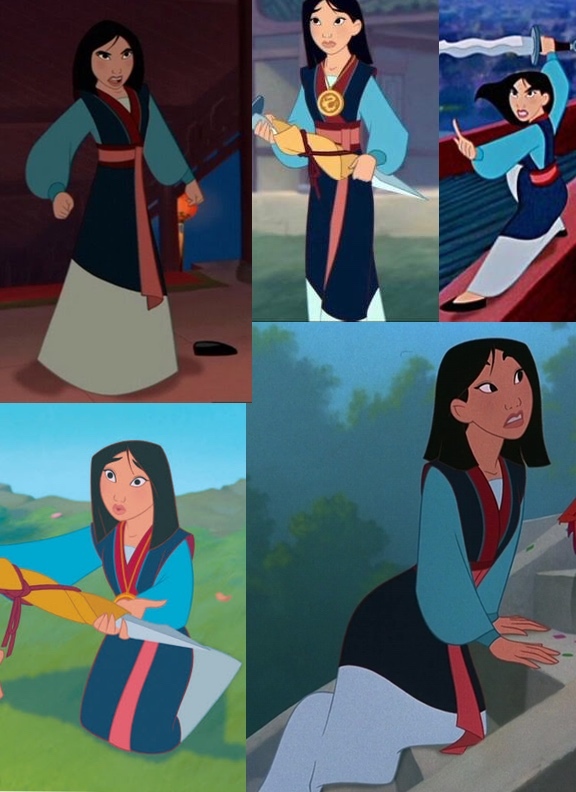 I have wanted to make a Mulan costume for Halloween since before I knew there was a PAX or an ECCC. I drew my first costume sketches nearly 10 years ago and she’s actively been on my “to-sew” list for at least 5 years. Greg and I usually cosplay as a pair so we prioritize costumes that we can wear together. Mulan does not fall into this category. (I have been unsuccessful in convincing him to cosplay MuShu or Ping.) Mulan is usually the 3rd or 4th costume on The List each year, and each year she is delayed in favor of other characters or because of costume burnout. Mulan will debut on March 28 as part of a Disney Heroine cosplay group at ECCC. Two months until ECCC and Mulan is one of two costumes I would like to complete for myself. Thankfully I don’t need to spend hours looking at screen shots. I have spent the past 17 years watching Mulan. I know what she looks like and I think know how I want the costume to move and drape. Help me not to make a fool of me. 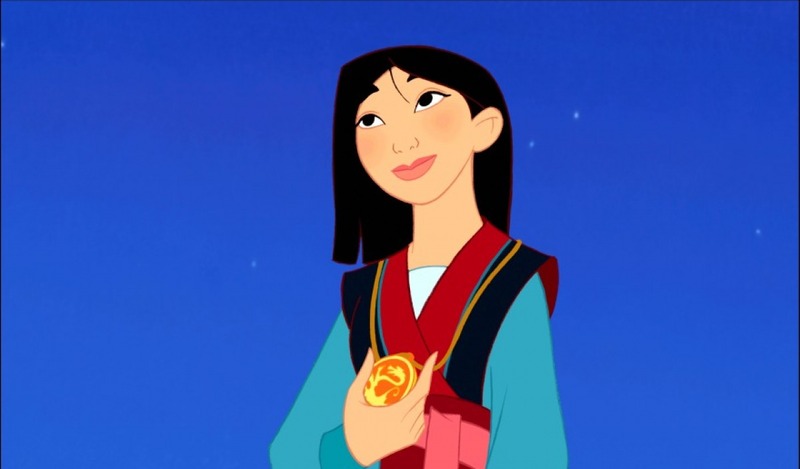 I just need to make sure I don’t let my perfectionism and love for Mulan overshadow and stall my creation process. I am most concerned about the props – especially the sword. Yay! Which version of the sword are you doing – the wrapped version or when she is wielding it? Mushu is one of my favorite sidekicks – “Make a note of this: Dishonor on you, dishonor on your cow …” I’ve had some thoughts of doing a Disney sidekick interpretation – he and Zazu from The Lion King make the top of that list, but it’s not on my agenda for this year hehe. I’m planning to make Shan-Yu’s sword unwrapped so I can wave it around. But if the construction process goes horribly wrong, I can wrap it in fabric and pretend I’m just presenting it to my father. Thank you! I have always identified with these songs – so much to read into regarding self-confidence, being someone you’re not, and growth. Just now catching up with my blog reading and can I just say that I’m so excited that you’re doing this! 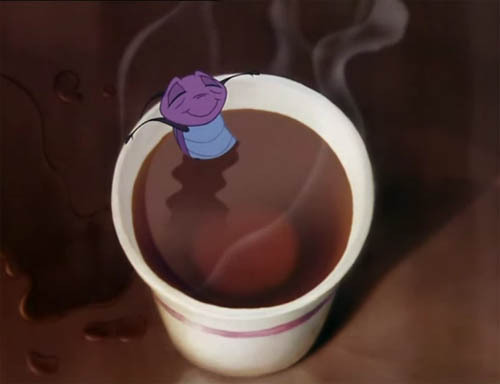 Also I’m glad to know I’m not the only one who’s watched Mulan a gazillion times. Your Mulan/Loki research has been a great asset! Thank you.